Home The NewsMill 1 killed, 6 injured including 5 CRPF personnel in Uri, Srinagar accidents. 1 killed, 6 injured including 5 CRPF personnel in Uri, Srinagar accidents. 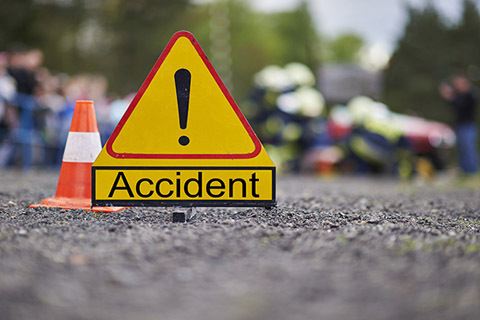 One person was killed and another injured in a road accident in the border town of Uri in north Kashmir district of Baramulla on Saturday. Official sources said that a vehicle met with an accident in Uri in the morning, resulting in injuries to two people.The injured were immediately taken to a hospital, where one of them was declared brought dead. Meanwhile, five CRPF men, including a Sub-Inspector (SI), were injured in a road accident in Srinagar.Official sources said that a bullet-proof vehicle of 53 battalion of CRPF turned turtle at Parimpura in Srinagar on Saturday afternoon. ”An SI and four other personnel were injured in the road accident,” they said. Next articleSwachh Bharat successful because women gave importance to it :PM.